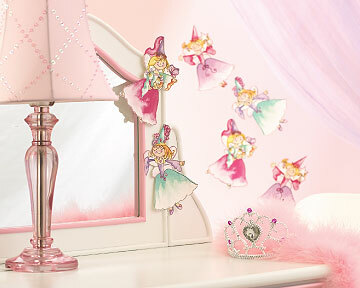 Add a fun splash of pixie whimsy to your child's room with Princess Fairies Wallies Wallpaper Cutouts. 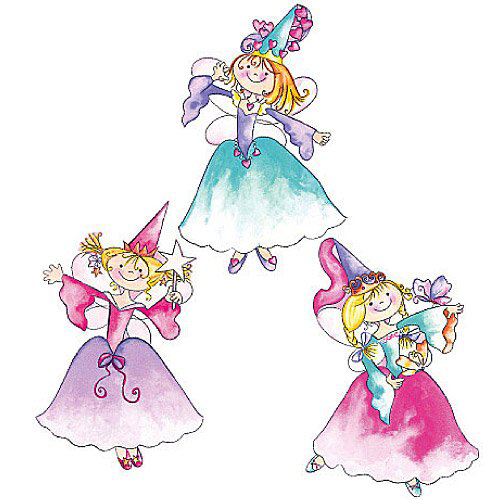 Acid and lignin-free, these creative Princess Fairies Wallies pre-pasted paper cutouts take the tedium out of achieving the look of stenciling. Why spend hours when you can create beauty in just minutes? 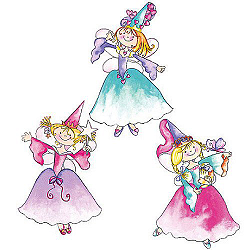 Simply wet the pre-pasted side and stick them onto your wall or other surface. It just doesn't get much easier than that! 2" x 3.5" to 4.875" x 3.375"